Famous Salford resident LS Lowry, who painted famous pictures of "match stalk men and match stalk cats and dogs" was actually a life long resident of Swinton and lived on Station Road nearby. 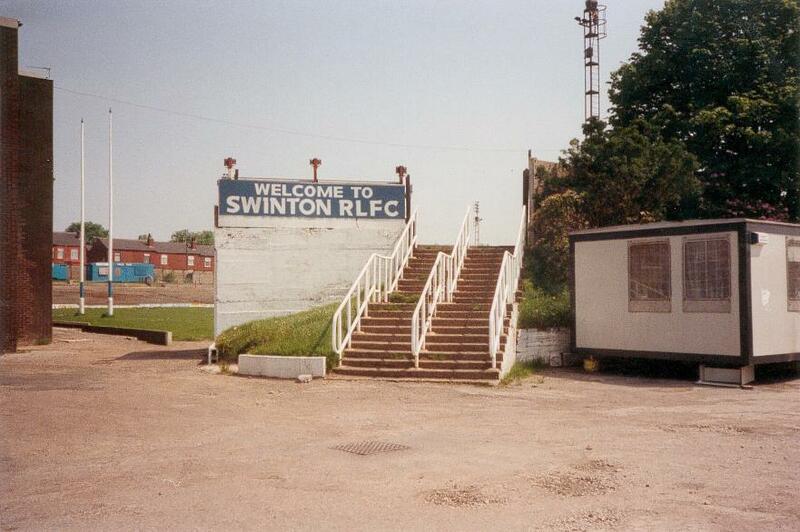 Swinton, and particularly Station road, are also famous for a Rugby League team who were once one of the biggest names in the game and in 1927/28 were one of only three clubs to win all four cups played for in one season. Their successful team of the 1960's won the Championship twice with stars such as Alan Buckley, John Stopford and Ken Gowers. Station Road was the venue for numerous international matches between Great Britain and other nations in particular Australia for the Rugby League Ashes. It was once called the "Aussie graveyard" because for many years Australia were unable to win there. In 1930 at Swinton, in the third and deciding Test with the score standing at a very unusual 0-0 and time running out, Australia's half-back Joe "Chimpy" Busch picked the scored what seemed like a match winning and Ashes winning try. Busch and his team were jubilant but the referee consulted the touch judge and over-turned his original decision. In 1948, the Second Test match was played at Station Road and before the game, the Australian players paid homage in the corner where "Chimpy" Busch had been denied but they lost the match 17-6 and The Ashes with it. Station Road, once again proved to be the graveyard of the Aussies. In 1963, the Australians finally won at Station Road and became the first Australian team to win an Ashes series way from home. The result was a 50-12 massacre which was a record score at the time. Station Road was no longer an "Aussie graveyard". Station Road is a now a nondescript housing estate and when I visited I saw no mention made of it's significance in Rugby League history. There was no signpost, no commemorative plaque or even roads named after famous Swinton, Great Britain or Australian players. It really is a great shame.